World is going to witness the first ever film ‘Gulabgatha’ on the founder of the state of Jammu and Kashmir. The premier of the film has been fixed for Sunday, 21st of October, 2018 at 6 pm at Abhinav Theatre, Jammu to mark the 226th Birth Anniversary of Maharaja Gulab Singh. Conceptualized, scripted, designed and directed by Padamshree Balwant Thakur, this production of Natrang is supported by Maharaja Gulab Sing Memorial Trust. This film is going to be the first mega visual document on the history of Jammu & Kashmir. This is a must see film for every citizen of the state of Jammu & Kashmir, particularly for all those who want to know about the creation of the state of Jammu & Kashmir. Fact remains that majority of J&K population is not aware about the facts of history and the people who laid the foundation of this state. 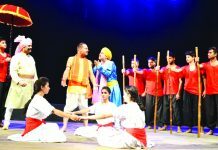 Balwant Thakur who is known for his unique contribution for keeping the state of J&K culturally vibrant, took the initiative of peeping into the history in the year 2013 and created a stage play of the same name which was first staged at General Zorawar Singh auditorium on 21st October, 2013. 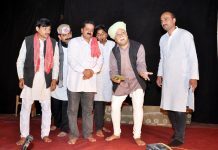 This short play received immense overwhelming appreciation and applaud for it’s script and dynamic direction and inspired Balwant Thakur to create a full-fledged play on the life history of Maharaja Gulab Singh. 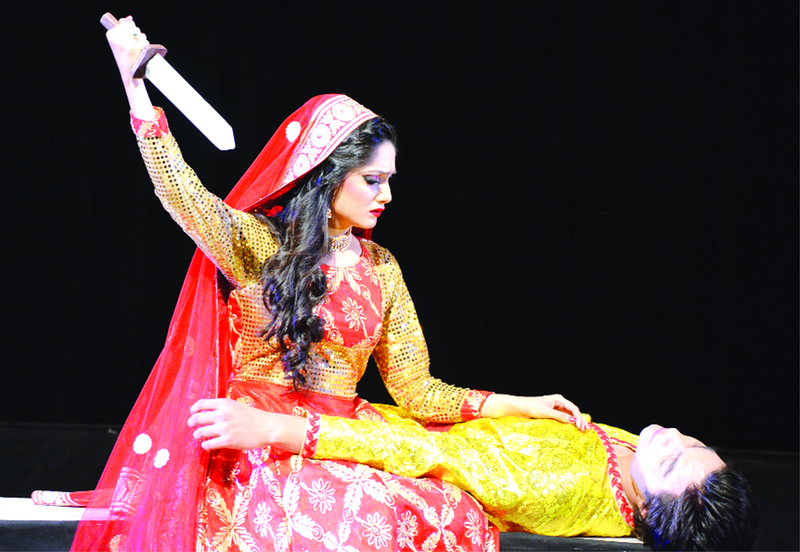 In 2014 a full-fledged play was showcased which mesmerized everyone. Impressed by his theatrical ventures, Dr Karan Singh inspired and encourged Balwant Thakur to venture a full-fledged film on this subject with the objective of taking this research work to the larger audiences. It was not a easy task for him in absence of resources and the availability of historical documents. This is an established fact that not much has been written on the life and struggle of Maharaja Gulab Singh. Whatever is available is the perception of the British and Lahore Darbar historians who have not left any occasion to malign this greatest warrior and immensely intelligent diplomat of the times. Interestingly this illustrious King did exemplary things which could be compared with the Ashoka the Great as a warrior and with Chanakya as an economist, and master strategist. But our historians failed to project those out of the world qualities of Maharaja Gulab Singh. 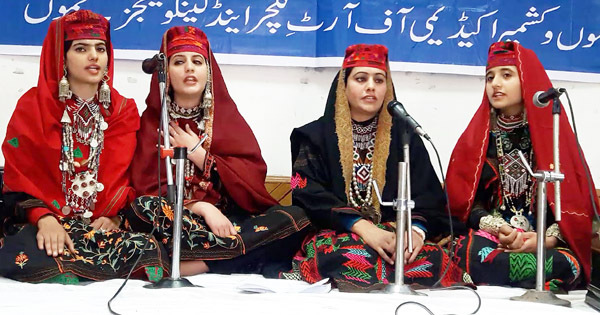 On one hand when our historians couldn’t write much on the history of this region, the present hierarchy went far ahead in ensuring that history of Jammu & Kashmir should not be a part of the curriculum of school students. In such a situation, coming of this film ‘Gulabgatha’ will cover a huge void. This film is going to be the first visual document and will have the global audience as everyone around the glove wants to know about the centemporary history of the state of J&K. The contribution of Balwant Thakur and his team of Nartang actors, creative designers, technicians, coordinators and assistants will be remembered for the centuries to come. People of J&K will always be thankful to Balwant Thakur for his this great gift in the form of a film. In an informal chat with this writer, Balwant Thakur the creater of this film has been very blunt in saying that there has always been a conspiracy to keep our generations aloof about the history and culture of Dogras and Dogras as a community is also responsible for this which allowed this to happen and continues to do so. 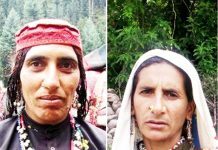 Look at the pathetic condition of Dogras, neither their history was recorded correctly nor they have bothered to fight for the preservation of their history and culture to have their unique identity intact. 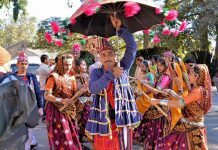 Film ‘Gulabgatha’ aims at restoring the lost glory of Dogras and their contribution to the creation of the largest princely state of the Indian union. 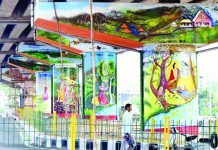 Lot of efforts have gone into the creation of this venture. It took almost five years to Balwant Thakur in researching different aspects of history and finally completed a rough draft of the story-line. Sharing about his experiences and hardships he went through in the making of this film, Balwant Thakur informed that re-creating a historical event in the present times is extremely difficult. One needs a huge financial backup in structuring that period, create those characters and situations. He has been highly thankful to Dr. Karan Singh for the support and encouragement he received from him. 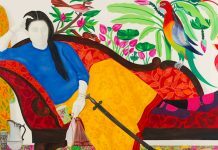 He was given full creative liberty and there was negligible interference from the Maharaja Gulab Singh Memorial Trust. He has a larger mission to take this film to every home in J&K and wants the younger generations to be aware of their glorious past. The character of Maharaja Gulab Singh is so inspiring that all should take inspiration from his immense firmness to scale ultimate heights in life. From a humble background he became the Commander in Chief of the army of Lahore Darbar to the position of the Primer Minister of Lahore Darbar and finally to the position of the Maharaja of Jammu & Kashmir. After Ashoka the Great he was the first ruler of the world who handed over his empire to his son Ranbeer Singh and worked on an ordinary position to see his son taking over the regime in an effective manner. 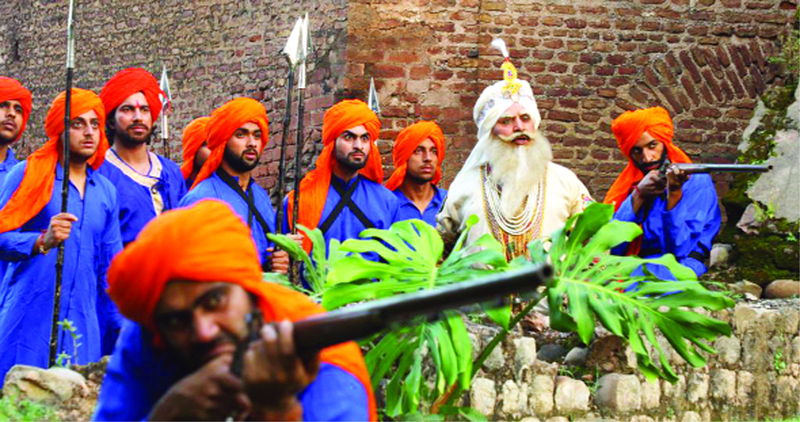 The film ‘Gulab Gatha’ is about the journey of a soldier who achieves great success at everything he initiated. His unquestionable obligatory obedience towards Lahore Durbar, his unconditional sacrifice and his conception of a kingdom has been regarded and given value in this film. Gulab Singh was the founder of royal Dogra rule and first crowned Maharaja of the princely state of Jammu & Kashmir, the largest princely state in British India which was created after the defeat of the Lahore Darbar in the Anglo-Sikh war. The greatness of leaders is not just in their works but in the way they have been appreciated and personified in the eyes of the people. His sacrifices were immense. He lost two of his sons and two brothers in the conspiracies against him and there have been occasions when he was virtually killed by the enemies but he survived all attacks. Napoleon was a military and political hero of France and Alexander has been applauded for his greatness for his conquest. Gulab Singh as an emperor held the same qualities of being a courageous warrior. He was a normal person with no lineage of royalty but he established himself as a King with the help of his bravery and continued to keep a hold on his empire because of his well-planned strategic and diplomatic intelligence. The most noteworthy part of the film is the dynamic acting by the local artists who simply created a magic on screen with their highly professional performances. Sunil Kumar Palwal a meritorious pass out of FTII and popular TV/Film actor has done a great job in portraying different shades of the life of Maharaja Gulab Singh. The lead lady of the film is played by Gauri Thakur. 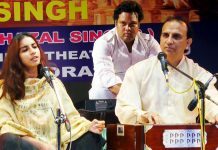 The prominent amongst others who gave remarkable performances included Arvind Anand, Madan Rangeela, Sudhir Jamwal, Suresh Kumar, Janak Khajuria, Anil Tickoo, Sanjeev Gupta, Neeraj Kant, Vijay Bhat, Subash Jamwal, Sumeet Sharma, Gaurav Jamwal, Rahul Sharma, Aftab Singh Chauhan, Meera Tapasvi, Aarushi Thakur Rana, Brijesh Avtaar Sharma, Lalit Kumar, Aman Sharma, Akshay Razdan, Kanav Sharma, Jatin Sharma, Brighu Sharma, Sumeet Raina, Naresh Kumar, Udit Sagar, Sushant Singh Charak, Vanshika Gupta, Sanket Bhagat and Shivam Sharma. Balwant Thakur’s creative team include Maloop Singh, Sanjay Kumar, Neeraj Badyal Mohd. 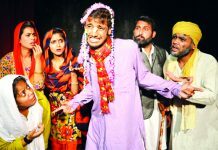 Yaseen, Kamal Sharma, Shivam Singh, Aftab Singh Chauhan, and Aarushi Thakur Rana.